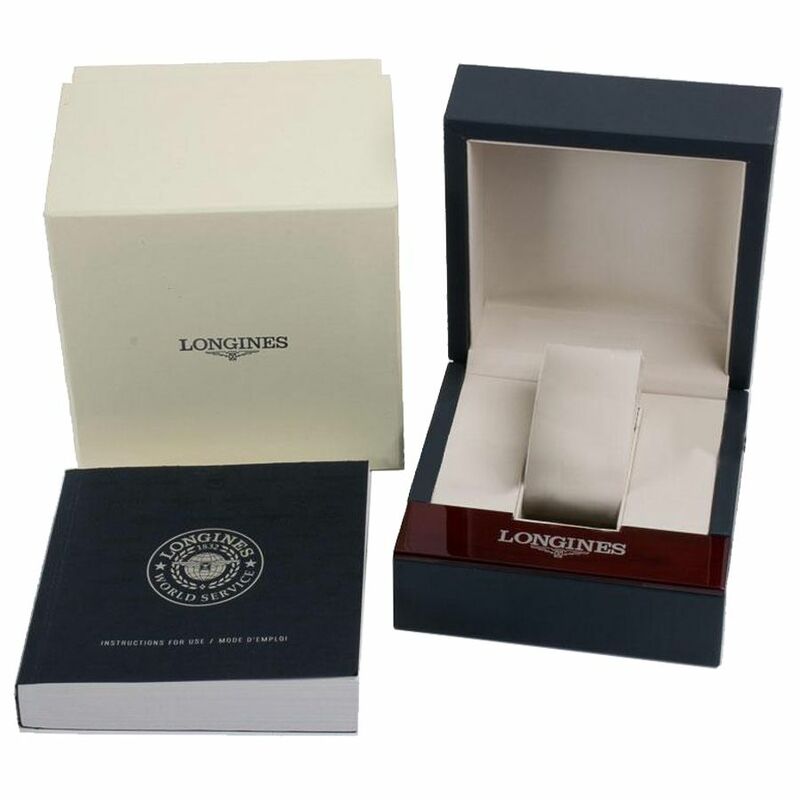 Longines Evidenza L2.155.0.53.6 women's watch. Features a stainless steel case and bracelet. Stainless steel fixed bezel set with 44 diamonds. Black dial with Arabic numeral hour markers. Date displayed in window at 6 o'clock. Powered by a battery operated quartz movement. A scratch resistant sapphire crystal protects the dial. The case is tonneau shaped, 30mm x 26mm in diameter and 8.1mm thick. Solid case back. Push and pull crown. Stainless steel deployment buckle. Water resistant to 30 meters / 100 feet. Fashion watch style. Swiss made. Perfect Gift 5 Got this for my wife and she just loves it.